How Long Do Flower Bulbs Last? How Long Do Flower Bulbs Keep? How Long Can I Store Flower Bulbs? Planted outdoors, bulbs may last one season or become established and continue indefinitely. Unplanted, bulbs last less than a year. Hardy varieties may be planted late and still survive. Flower bulbs can be stored over the winter and planted in spring. Some may survive if stored for longer periods, but blooming will be inhibited. Use pruning shears or scissors to promptly remove faded flowers. Cut the flower stems as close to the ground as you can. Wait to remove foliage until it has turned brown. Use a lawnmower to mow down foliage in naturalized settings (like daffodils scattered throughout a lawn). Set the lawnmower to 2 inches high. Use pruning shears or scissors to cut back faded foliage in flower beds. Cut the foliage back to 1 to 2 inches high. Flower bulbs must be stored in a cool, dry area. The moisture in some parts of the house can cause mold to grow in the bulb. This can kill the bulb in a matter of weeks. Warm air kills flower bulbs quickly. The hot air causes the bulb to dry out. Once the bulb is completely dry, it will not bloom. The fresh bulb must be plump and fleshy. Most flower bulbs can be stored safely in a cool, dry place for up to 12 months. It is advisable to plant the bulbs as soon as possible for the next season's growth. Storing flower bulbs in the root cellar with fruit which is ripening can cause the bulb to die. The fruit gives off gases which can be fatal to flower bulbs. 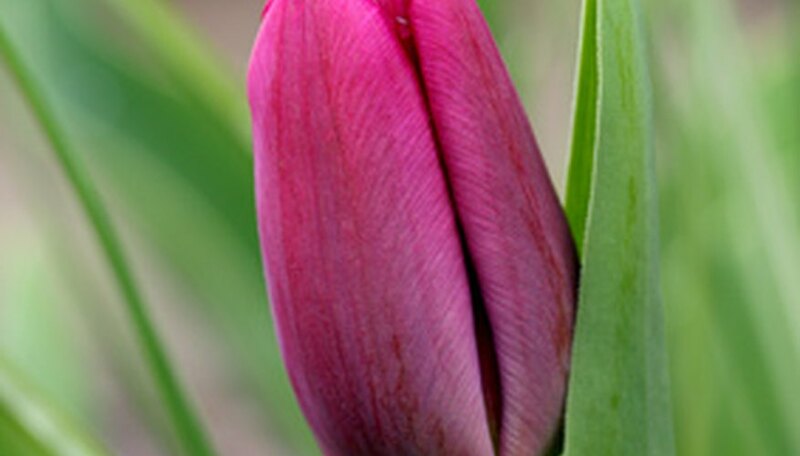 Consider forcing the bulbs to bloom indoors if storing for 4 to 6 months is not possible. This keeps the bulbs active and allows them to continue to grow. Remember the bulbs produce energy for the next growing season by absorbing light through the leaves, after the bloom is gone. As tempting as it may be, do not cut back the leaves until they are brown. Which Bulb Flowers Grow in Florida?